Hair accessories made a big comeback in 2018, and they're showing no signs of slowing down in 2019. The new go-to accessory of our favorite celebs? Hairpins! Lately, celebs have been wearing their hairstyles parted in the middle with one to three pins clipping their tresses back! It's a great way to get your strands off your face without having to put them up in a bun or ponytail! Gigi Hadid wore the exact look to the 2018 Met Gala and a few months later, Vivoree Esclito also wore a similar 'do for a shoot! If you want to recreate it on yourself, here's some more inspo! Cop that fresh, girl-next-door vibe by keeping your pinned back locks straight and polished! Attending a formal event? Switch the pins for a sparkly barrette and pair it with some dangling earrings. 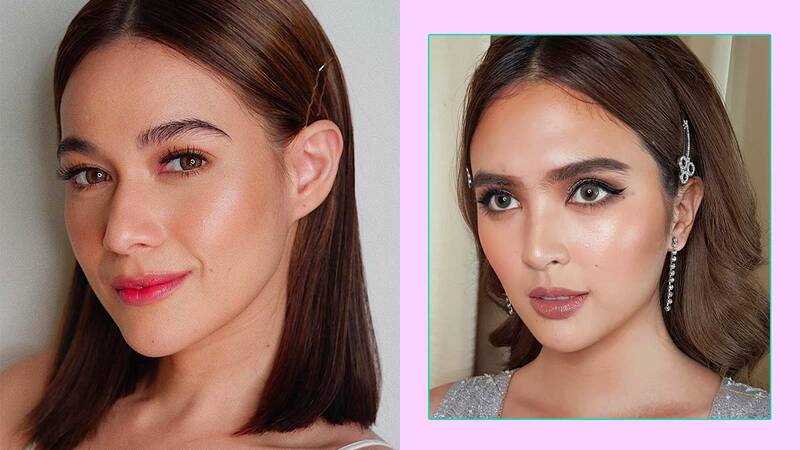 Who could forget this chic hairstyle at the ABS-CBN Ball? We love how she parted her hair on the right instead of the middle! Cross your pins on your hair to give it a ~*cooler*~ look! Match the color of your pins to your jewelry to make your outfit look more put together. What do you think of this trend? Comment below and don't forget to join our Cosmo Beauty Group for an exclusive CG chat!